Custom Formulated CBD Pet Products Coming Soon!!! As an increasing number of cannabis-based products widen the scientific health landscape, so too are an increasing number of medications making their appearance to cure ailments in our pets. These medications come in the form of CBD and hemp oil drops, tinctures, treats, capsules and even includes bird seed. So whether you have four-legged or two-legged pets in your home, cannabis can help improve their health. Just as with humans, cats and dogs have complicated endocannabinoid systems (ECS) and medical research has found that cannabis impacts positively on the ECS in the way in which it reacts to the body’s cannabinoid receptors. These receptors are located in areas throughout the body and cannabis-based medications help to keep the body in balance. The use of cannabis to treat ailments in animals was first proposed by Douglas Kramer who died at the age of 36 five years ago after working tirelessly to improve the quality of life of animals suffering from incurable diseases with the use of a marijuana-based homemade tincture. Dr. Kramer developed the medication to treat his own pet dog who was dying and riddled with pain. The medication enabled his pet to enjoy the quality of life in the final months with a restored appetite and lust for life triggered by her owner’s medication. Dr. Kramer’s veterinary practice was the first in America to offer pet owners the choice of cannabis as a treatment. 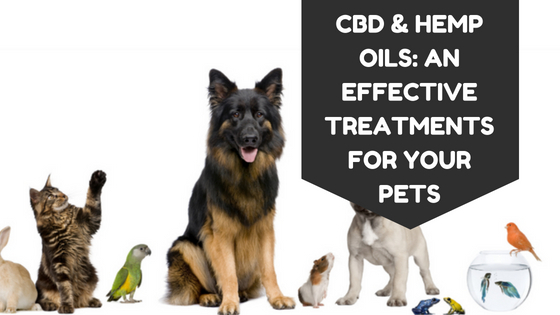 These are the five points you should know and take into consideration when treating your pet with CBD oil. CBD is also known as cannabidiol and is low in the psychoactive marijuana ingredient called THC or tetrahydrocannabinol so it will not make your pet stoned. A number of our four-legged friends suffer from crippling arthritic ailments such as hip dysplasia. CBD oil has active anti-inflammatory compounds that will ease their suffering and add to their quality of life. Many people who don’t own pets will chuckle if you tell them that your dog or cat is suffering from depression but this disorder has been proven time and again. Anxiety and stress can be triggered by a number of circumstances such as neglect, lack of attention, squabbling in the household or moving to a new residence. CBD oil will relieve their depression and give them a renewed interest in life. Damage to the nervous system includes trauma, stress, infections, degeneration, congenital problems, structural defects, tumors, blood flow disruption and/or autoimmune disorders. Studies have proven that CBD prevents the degeneration of the nervous system. Our animal friends, particularly canines, are prone to seizures and scientific studies backed up by the medical profession have illustrated just how effective CBD oil is in preventing seizures. Administering CBD oil to a pet will reduce both the potency and the number of seizures it suffers. This fact has been patently demonstrated in the positive results of debilitating and uncontrollable seizures suffered by children with rare forms of epilepsy. Apart from CBD, hemp oil is rich in Omega 3 and 6 fatty acids and has been found to act positively in repairing, preventing and generally treating animal ailments. It has low quantities of CBD and only traces of THC and is particularly recommended for the treatment of heart and skin ailments and nutrition. Birds that are fed with hemp seeds enjoy a nourishing diet and an improved immune system because the seeds are rich in omega 3 fatty acids. Apart from acting as an appetite stimulant, chickens fed with hemp seeds produce eggs rich in omega 3. To be on the safe side, veterinarians recommend the use of CBD hemp oil instead of CBD cannabis oil when treating your pets. Hemp oil treats a variety of ailments such as chronic diseases, arthritis, digestion, sprains and broken bones. It can also reduce the effect of other drugs you may be giving your pet. Hemp oil is rich in protein, calcium, magnesium, iron, zinc, vitamin E, B, as well as a number of anti-oxidants. And that doesn’t even include the fact that hemp oil is full of omega 3 and 6 fatty acids. When it comes to dosages, the weight of your pet has to always be taken into consideration but you would be far better off first getting advice from your veterinarian. Generally, at the start of treatment CBD oils are administered once a day, gradually increasing the dosage to twice-daily with a total of six to seven drops. You should start to see a general improvement in the health of your pet within the first week to 10 days at which stage the dosages can be either decreased or increased according to the condition of your animal. Yes, you can buy CBD oil and related products online but only do so if you know what dosage your pet requires. So always err on the safe side and obtain professional advice. At CBD Care 4 Pets, we understand the love between a pet owner and their pet companion. Similarly, we share a never-ending commitment to making your pets’ lives more enjoyable and long-lasting. We know that the longer we can enrich your pets’ lives, the longer they will enrich yours. © 2017 CBD Care 4 Pets. All Rights Reserved.